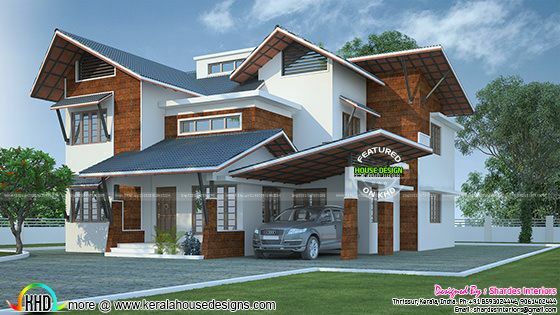 Introducing Shardes Interiors, Thrissur, Kerala, a member to KHD family. Showcasing a fusion type modern house in 2249 Square Feet (209 Square Meter) (250 Square Yards). Design provided by Shardes Interiors, Thrissur, Kerala. Ground floor : 1503 Sq.Ft. First floor : 746 Sq.Ft. Total area : 2249 Sq.Ft. 0 comments on "Fusion contemporary home"